Fractures are broken bones. They can be simple (hairline) or complicated (multiple bones, displaced/out of alignment, or open - AKA sticking out of the skin). Symptoms include pain, swelling, bruising and sometimes obvious deformity. How long does it take for bones to heal? Any open wound where bone may have poked through? Can you fell a pulse? If no pulse and/or toes/fingers are turning blue, apply traction to reset bones (hold pressure above fracture and pull gently but firmly on the area below the fracture, until bones seem aligned. 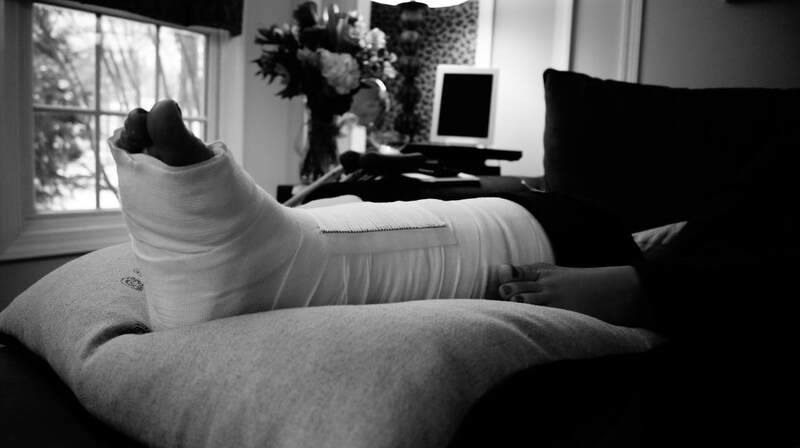 Use crutches or avoid bearing weight on broken legs.